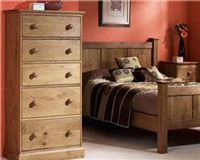 Furniture specialists, Queenstreet of Exeter provide some helpful advice and information when choosing bedroom furniture for your home. A selection of our best selling open coil, pocket sprung, memory foam & latex divan beds. Most of these models, amongst others, are on display in our showrooms in Exeter to try before you buy. Speciality Beds are also offered including Guests Beds, Adjustable Beds and Storage Beds. Please see our website for more information. Beds are the focal point of any bedroom so choosing a bed can be the most important decision you have to make when designing your bedroom. Once you have chosen the type and style of the bed you want you can then design and style the room and other furniture pieces around the bed. At Queenstreet we have bedroom furniture to match beds, so you can be sure that your room will look stylish. If you have a small room you want to try and get the balance between having enough storage space for you belongings without cramming loads of furniture into the room so that it looks overcrowded. You may find having a slightly smaller bed will help overcome this problem, for example picking a smaller double bed as opposed to a king size bed. At Queenstreet our bedroom furniture ranges from very stylish and modern to more traditional bedroom furniture. So what ever style you are looking for you will be sure to find something that you like. At Queenstreet of Exeter we have a wide variety of children's bedroom furniture. Most children like the idea of sleeping off the ground so buying a bunk bed for your child will be a fun and exciting new experience for them. We offer a range of different childrens beds that are all are safe and practical. Most children love the idea of bunk beds, especially the top bunk. It’s exciting to sleep so high off the ground and even more exciting to imagining that your roommate is sleeping beneath you. No bedroom furniture is complete without a headboard. Come down to Queenstreet or browse our online shop and take a look at our wide selection. Whether you want a wooden headboard or a more traditional one made from fabric, you will be sure to find the one for you.